Adventure, romance, and sport all come together in Maldives to please even the most discerning traveler. Due to the luxury nature of the Maldives, a turquoise azure, white sands, decadent food, and water experiences attract the attention of celebrities, high profile corporate clients and the occasional Billionaire or two seeking ‘one stop shop’ for wealthy travellers. Extraordinary sights and sounds await your visit, brushed with tropical breezes, filtered through year-round sunshine, and accompanied by star-studded nights. Each meal is a celebration, each day brings new discoveries that you will remember forever. From underwater gourmet dining to dive-butler service the Maldives offers a number of plushy things to do in comfort and style. So, are you wondering what else to do in the Maldives? If you want to do something off-the-beaten-path Maldives is home to a some amazing, luxurious options for those of you seeking something unique. 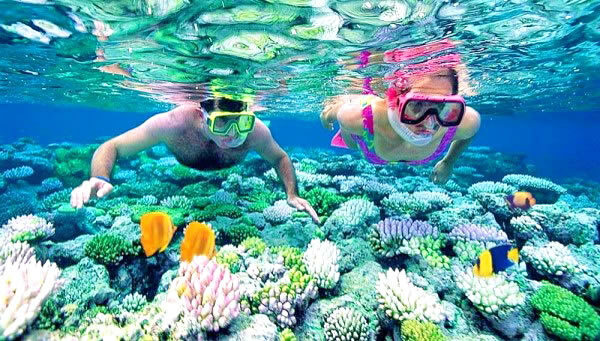 Many of the most popular tours for Maldives luxury travellers are private daytrips that let you discover the best of the experience with a personal touch and at your own preferred pace. Other options take you on luxury sailing voyages to escape the crowd of the mainland altogether, to ultimately find your own piece of tropical paradise. A number of Maldives luxury hotel brands now offer their guests authentic experiences exclusive to their hotel. This does not mean the usual method of engaging a third party agent, but rather, the hotel brand creating their own unique stay experiences. 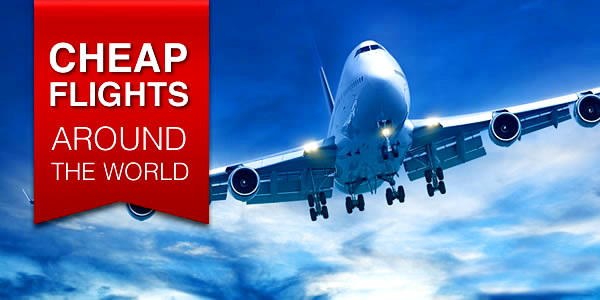 The following offerings are those which focus first and foremost on providing a high-quality experience, ideal for those who want to get the most out of their time in Maldives and for whom money is not a major concern. 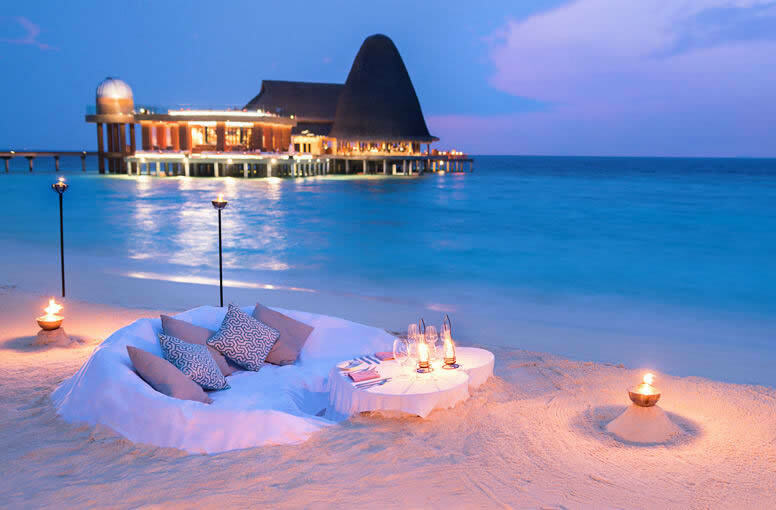 Whether you are in Maldives for a weekend or longer, these luxury selections are truly the Best of the Best. Here are 10 unique stay experiences and offbeat luxury things to do in Maldives and we are sure you’ll love them! 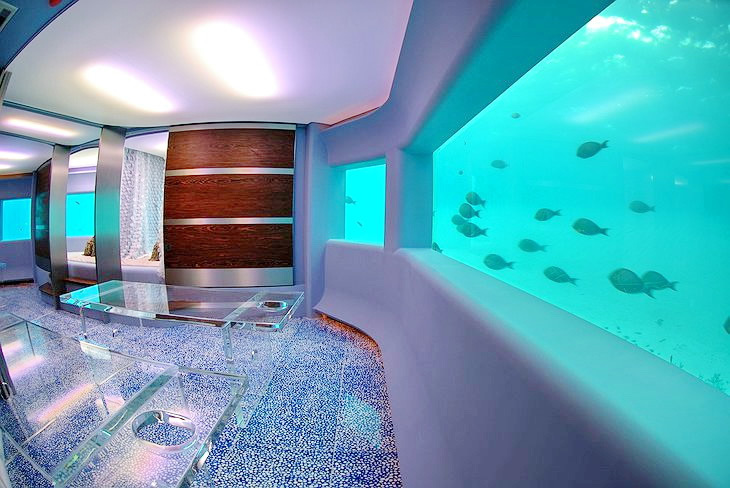 THE MURAKA at Conrad Maldives Rangali Island is the world’s first undersea villa. Now welcoming guests to dive into an extraordinary experience both above and below the surface of the Indian Ocean, THE MURAKA is a triumph of modern design and technology, delivering a truly transformative journey suited to amaze the most sophisticated explorers across the globe. The undersea residence is a two-level structure comprised of space above the sea level and an undersea suite designed for sleeping under the ocean’s surface. The undersea bedroom floor level sits five metres (16.4 feet) below sea level, providing uninterrupted views of the surrounding marine environment. In total, THE MURAKA can accommodate up to nine guests. 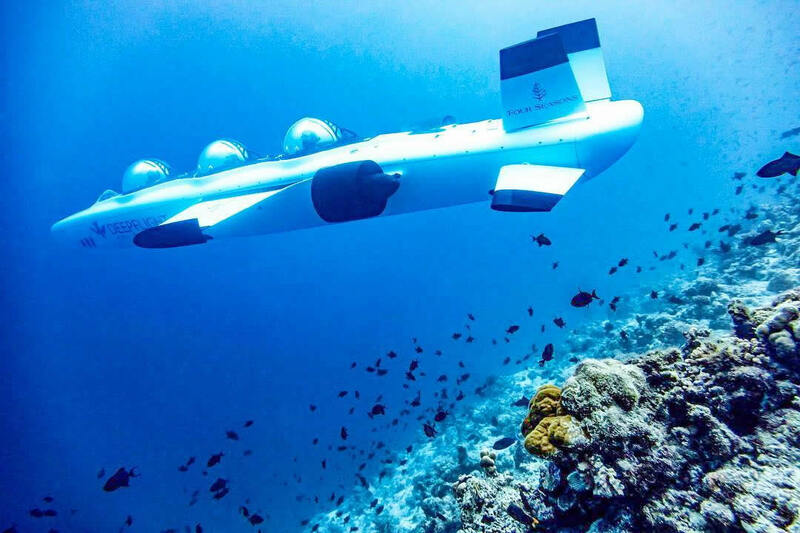 “Fly” underwater in a personal submarine to explore the Maldives' UNESCO Biosphere Reserve. Glide through massive shoals of colourful fish, above coral formations, and alongside dolphins, turtles, sharks and rays in the world’s first DeepFlight Super Falcon 3S, a three-person submarine. When submerged, the dome of your personal cockpit seems to disappear into the water, immersing you in a 360-degree experience of one of the richest ecosystems on Earth: the Maldives’ only UNESCO Biosphere Reserve. You will be one of the lucky guys in the world to be acquainted with the subaquatic life of the Baa Atoll via this new and environmentally respectful technology, which is exclusively at Four Seasons Resort Maldives at Landaa Giraavaru. 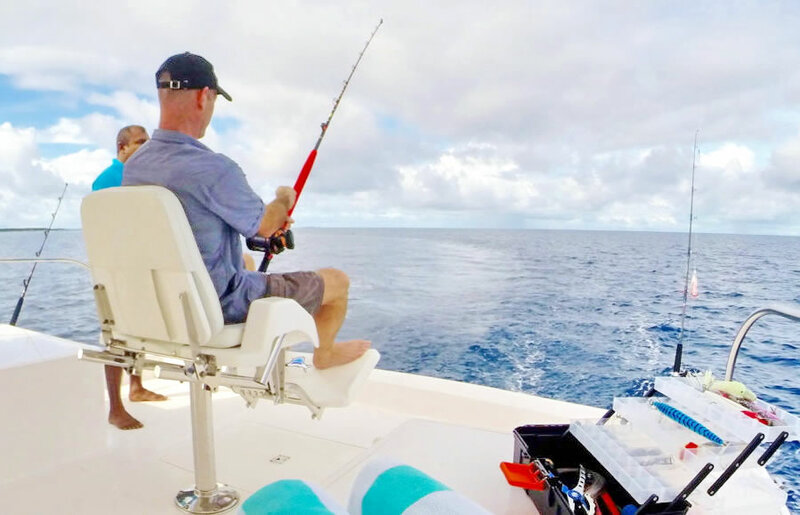 With a professional pilot at the controls, passengers can skim over coral formations; fly through shoals of brightly coloured fish; encounter creatures such as turtles, sharks, dolphins and rays; and explore the Maldivian waters down to a depth of 120 feet (37 metres) – all without getting wet. 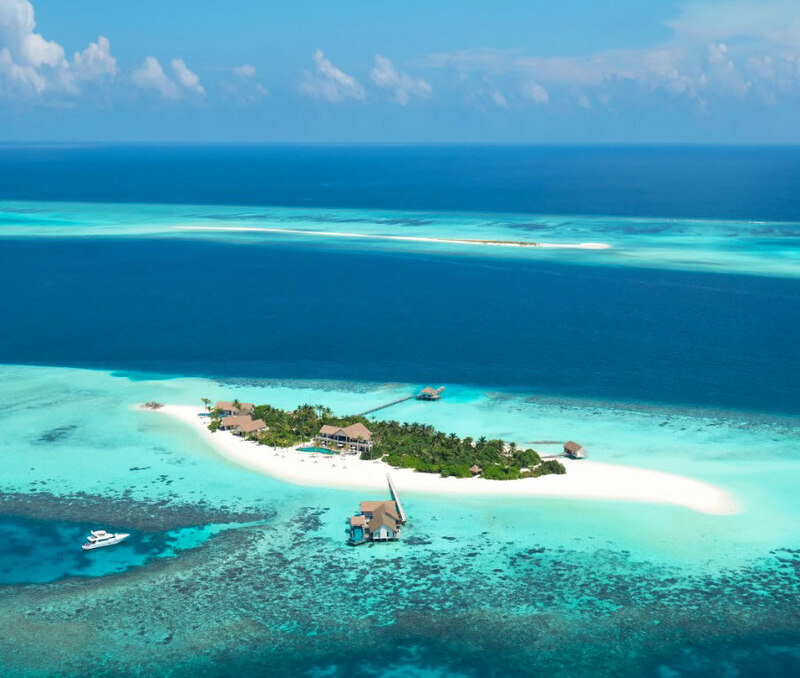 While there are more island getaways and resorts in Maldives than can be counted, having a private island at your disposal is (naturally) one of the most decadent and undeniably exclusive experience in existence. Remote, uncharted, unfettered and in many instances, inaccessible, these natural wonders can be the ultimate way to reset in style. Going off the grid has great implications for mental and physical well-being; and whether you’re seeking a beach house for family - or an entire island all to yourself–the private islands are the very best to unwind, rejuvenate and explore. On your very own retreat, you are bound to see dazzling flora and fauna (much of which is unique to these islands' isolated ecosystems) and taste and feel authentic Maldivian vibrant. 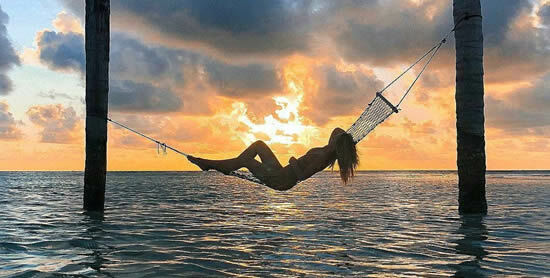 The Maldives is home to a some luxury private islands where there is no work and all chill, relax and play. Accessible by a scenic 40-minute seaplane flight from the main Velana International Airport, Cheval Blanc Randheli is one-of-a-kind exclusive property from the luxury fashion group Louis Vuitton Moët Hennessy (LVMH). Cheval Blanc Randheli Private Island is the epitome of exclusivity and privacy: a single villa occupying a perfect private island. Launched by the luxury conglomerate LVMH, the villa is magnificent in design and execution, from its soaring architecture down to the bespoke furniture, unique works of art and hand-selected crafts that adorn it. 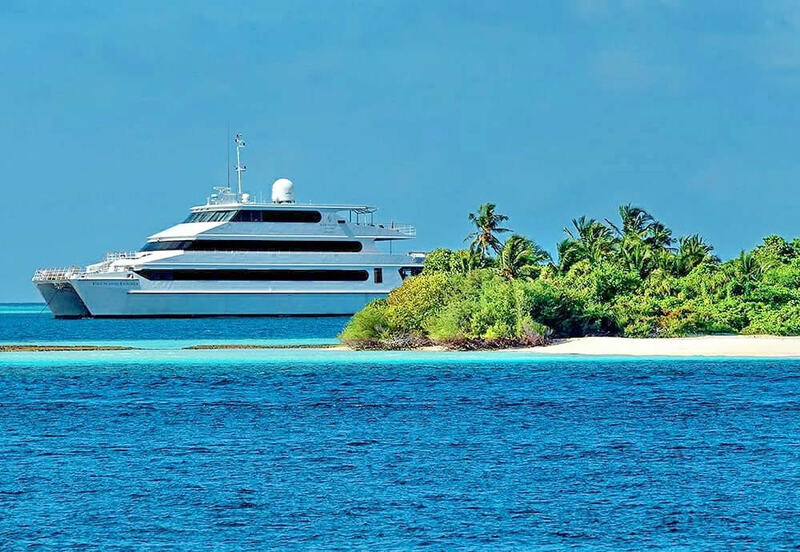 The fastest and most luxurious liveaboard in the Maldives, the ultimate private cruise, effortless access to exeptional dive sites, and a surfer's golden ticket to remote, rarely-surfed breaks. The Four Seasons Explorer’s customized charters offer groups of family and friends the opportunity to transform the Maldives fastest and most luxurious live-aboard into their own private yacht. All-inclusive private cruise itineraries of three, four and seven nights are available; however, any number of nights (with a minimum of three nights) can be tailored accordingly. 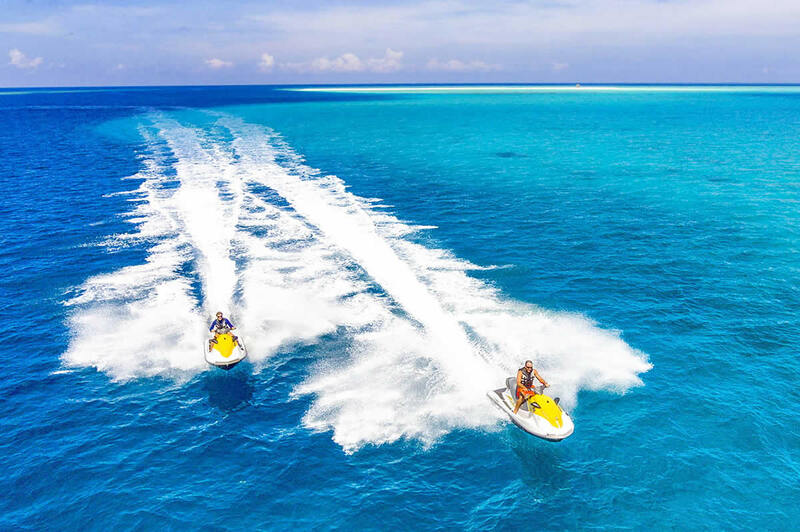 Charter groups can choose to use the boat as a dedicated dive, surf or leisure vessel; visit island communities in some of the world’s most isolated atolls; or host an unforgettable party or celebration in areas of pristine beauty and seclusion. An ice skating rink on a tropical island is a true expression to ‘Wow’ allows you to be carried away into a small winter wonderland of their own, while being enveloped by the warmth of the tropics. 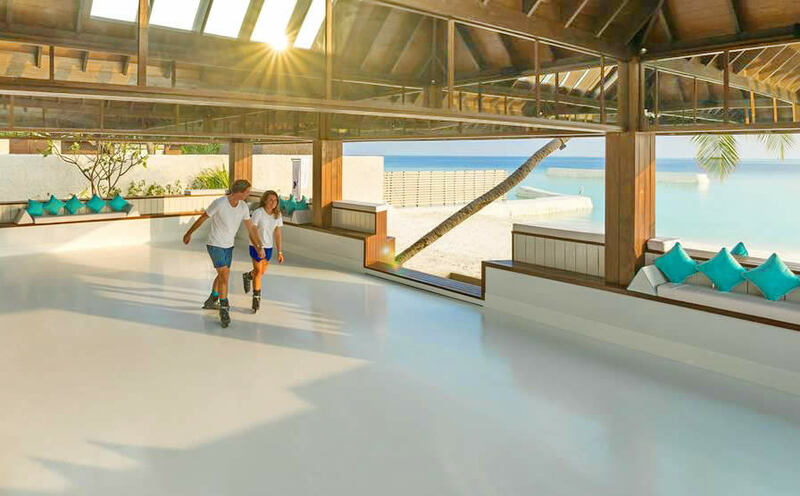 Maldives’ first the 87 sqm an eco-friendly ice rink at Jumeirah Vittaveli has been manufactured using Glice, a novel material from Switzerland that allows for eco-friendly ice rinks, eliminating the need to keep the ice rink cold. This enables guests to experience a world-first at Jumeirah Vittaveli when they go for a swim in the crystal clear waters of the Indian Ocean, followed by a quick stroll across the beach to put on their ice skates and glide along the picturesque backdrop of a tropical winter wonderland. Apart from over the water adventures, there are a few things of indulgence that make you go weak in the knees. One of them is spending time underwater (be it snorkelling or just fun diving), and the other is a great pampering at the spa. Huvafen Fushi has taken indulgence to the next level by opening the first and only Underwater LIME Spa in the world. Experience massage on a whole new level lying face up “on the water, under the water”. An unrivalled treatment for comfort and relaxation; the body is embraced and lifted by heated Hydrotherm water cushions. The heat of the water soothes painful areas as graceful, fluid massage movements evaporate muscular tension leaving sheer, blissful sensations. The best massage experience in the most unique treatment space in the world. The Maldives, the typical picture postcard islands with brilliant white sandy beaches, blue seas and honeymooners aplenty. These coral islands are situated in the Indian Ocean and only approximately 200 of more than 1,000 islands are inhabited. If you enjoy the idea of a tropical paradise with fabulous scuba diving opportunities as well, then the Maldives are definitely for you. 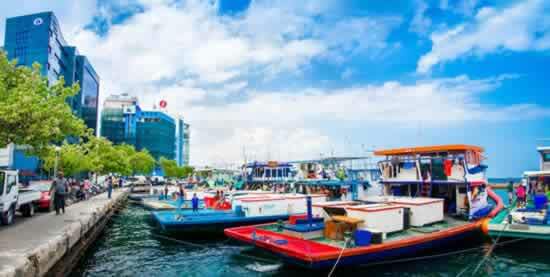 But, should you pack your golf clubs when you visit the Republic of Maldives? In 2003, Kuredu became the first island resort in the Maldives to offer golfing and today boasts one of the only two golf courses in Maldives. A 6 hole Par 3 course with the average length of a hole at 55 yards, it might not be the largest, but definitely one of the most exquisite golf courses in the world. The golf course provides the options of a full size driving range, shaded areas, hitting form grass areas to bunkers to give you that sandy feel. Before you take on someone for a big game, you might want to practice your short game at the putting green area available for guests. Guests at Shangri-La’s Villingili Resort & Spa, Maldives are also in for a delight with the country’s first nine-hole recreational golf course at the luxury resort. Spectacular sights await guests at each of the nine holes, mostly par three and averaging 123.4 yards in length. 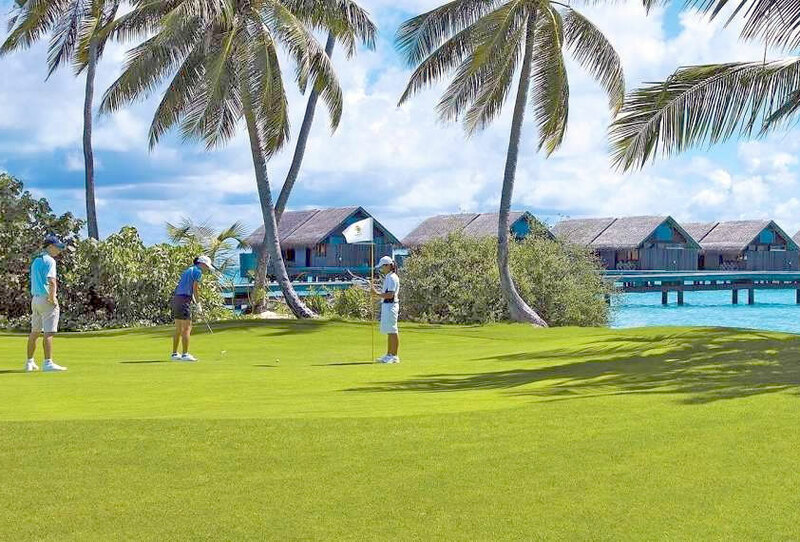 Designed to be a fun course for golf aficionados and beginners alike, the Villingili Golf Course was developed with the island’s natural beauty in mind, enhancing existing flora to highlight the gleaming ocean and turquoise lagoon along a scenic walking path. 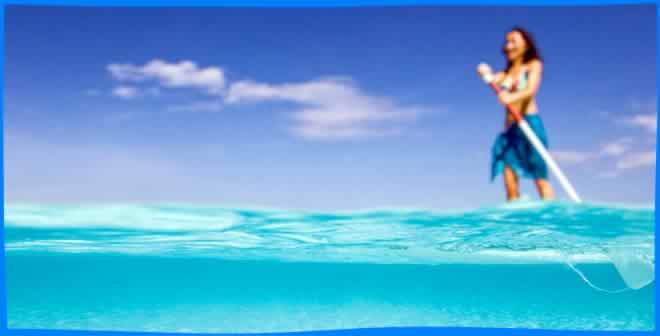 Immediately warn this pleasure is not cheap but the Maldives could be the perfect place for your destination wedding! Say ‘I do’ against a backdrop of cerulean blues and the swell of the Indian Ocean. 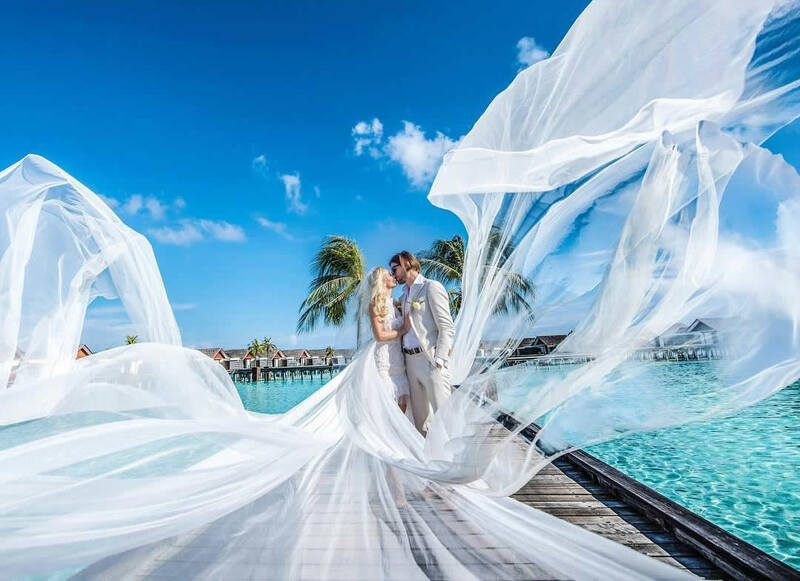 On a private island with friends and family, or just the two of you under a white-canopied faree tent, the Maldives offers unrivalled settings for your dream event. Walk barefoot down a petal-strewn aisle to the rhythmic beat of the bodu beru drum. Exchange vows with the omniscient ocean as your witness. Celebrate with a marquée banquet or dine al fresco under the stars. Relax and beautify at the over water spa before a professional photoshoot on soft white sands. Honeymoon in style on a luxury yacht, spinner dolphins playing in your wake.